The Polaris ThermalWeld window is their mid range vinyl window that is considered a very nice mid range option, although not in the same league as the Polaris UltraWeld. Consumers can expect better numbers out of the ThermalWeld, including a .29 U-value and .28 SHGC. The ThermalWeld has a bit beefier frame than some windows, but most homeowners won't notice it once installed. The ThermalWeld carries an upgraded warranty compared to the ValuSmart window. The Polaris ThermalWeld includes a true position balancing system, sash limit locks, reinforced meeting rails, a true sloped sill, cam style locks, extruded pull rails and the energySMART glass. The ThermalWeld is a solid mid range vinyl window that I would recommend if the price point is right. The ThermalWeld should run $30 to $40 for the window itself. Compare to Milgard Tuscany prices and Harvey Classic window costs. Consumers can expect slightly better numbers out of the ThermalWeld compared with the ValuSmart model, including a .29 U-value, .28 SHGC and .46 VT. Upgrades to a premium glass and krypton fills can bring the U-factor as low as .22. All in all, some decent performance out of a mid range vinyl window. 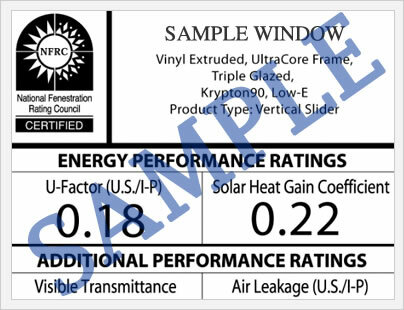 These numbers come from the nfrc.org website, which lists hundreds of window models and series, along with their U-factor, SHGC and VT numbers. The Polaris ThermalWeld offers a lifetime warranty that applies to the mainframe and sash. 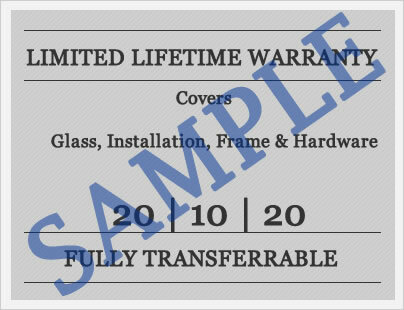 The insulated glass unit carries a 30 year warranty period. The warranty doesn't cover either screen damage or accidental glass breakage. Any exterior paint carries a 20 year warranty on fading and peeling. The warranty should be transferrable to a subsequent owner and then the warranty is good for 30 years from when the windows were purchased. As with all warranties, you should read them in their entirety prior to your purchase. Submit your Polaris ThermalWeld windows reviews and help consumers to make the best decision they can on whether this is the right vinyl replacement window for their home. Do you need answers about the Polaris ThermalWeld window? Our website editors, Jim and John, can answer many of your questions regarding this premium vinyl window. Please include an email for us to get in touch with you - we never use your email for any other purpose than to answer your question. Dianne, you as the homeowner should have the limited lifetime warranty with you when the job was completed. Call up whomever did the install and make sure you get the warranty from the company. I'm glad to hear that you like the windows and that your home is quieter -- Polaris makes a good vinyl window.